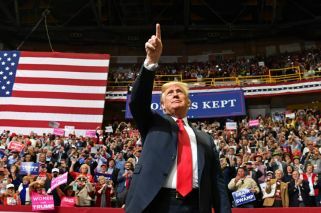 While he is not on the ballot, US President Donald Trump himself has acknowledged that the 2018 midterms represent a referendum on his presidency to date. The day of reckoning for US politics has nearly arrived. Here's what to look for and what to expect as America takes to the polls Tuesday, November 6. The US midterm elections are held nationwide every two years, halfway through the sitting president's four-year term. There are all sorts of elected positions on ballots but the main focus is on Congress, which is made up of the House of Representatives (lower house) and the Senate (upper house). Both are currently controlled by the Republican Party. All 435 seats in the House are up for re-election and 35 Senate seats are in play, as are almost 40 governorships and the balance of power in virtually every state legislature. Midterm elections indirectly represent a referendum on the president and his administration. Historically, the president's party tends to lose: of the 21 midterms held since 1934, the leading party has only made gains three times in the House and five times in the Senate. 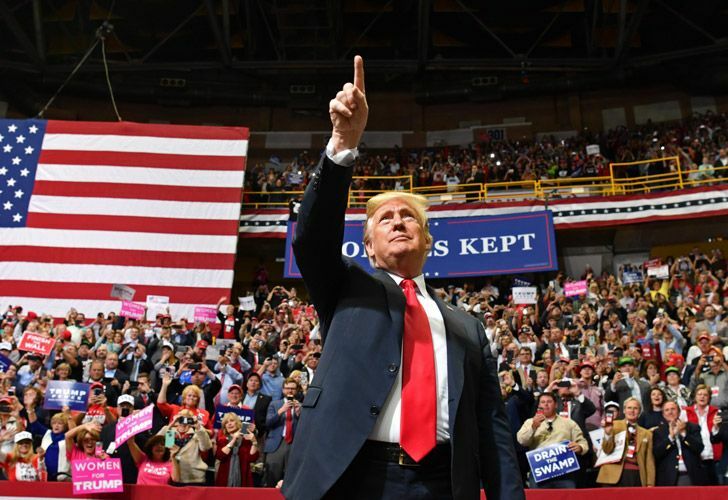 Two years after an election that proved polls and prognosticators wrong, nothing is certain on the eve of the first nationwide elections of the Donald Trump presidency. There are indications that an oft-discussed "blue wave" may help Democrats seize control of the lower house, a sprawling battlefield extending from Alaska to Florida. Most top races, however, are set in America's suburbs where more educated and affluent voters in both parties have soured on Trump's turbulent presidency, despite the strength of the national economy. Democrats need to flip 23 Republican-held seats to claim the 218 majority. Democrats face a far more difficult challenge in the Senate, where they are almost exclusively on defence in rural states where Trump remains popular. In the 100-seat Senate the current balance of power is very tight, with Republicans holding a narrow 51-49 majority. To have control of the Senate, Democrats need to gain at least two seats. Democratic Senate incumbents are up for re-election, for example, in North Dakota, West Virginia, and Montana — states Trump carried by 30 percentage points on average two years ago. Trump's Republican coalition is increasingly becoming older, whiter, more male and less likely to have a college degree. Democrats are relying more upon women, people of colour, young people and college graduates. Former US president Barack Obama seized on the differences between the parties in a final-days scramble to motivate voters across the nation. Trump has delivered a very different closing argument, railing against Latin American immigrants seeking asylum at the US border. The size of some states, the high number of absentee ballots, the predicted high turnout at the polls, and the expected closeness of some of the races all mean that many results won’t come out until the small hours of Wednesday morning at the earliest. But given that some key districts should be called relatively early in the evening, we could have an idea of who will control the House by midnight.